As we inch closer to the inevitable day when our president-elect permanently drops the “elect,” activists and celebrities continue to make their feelings known. 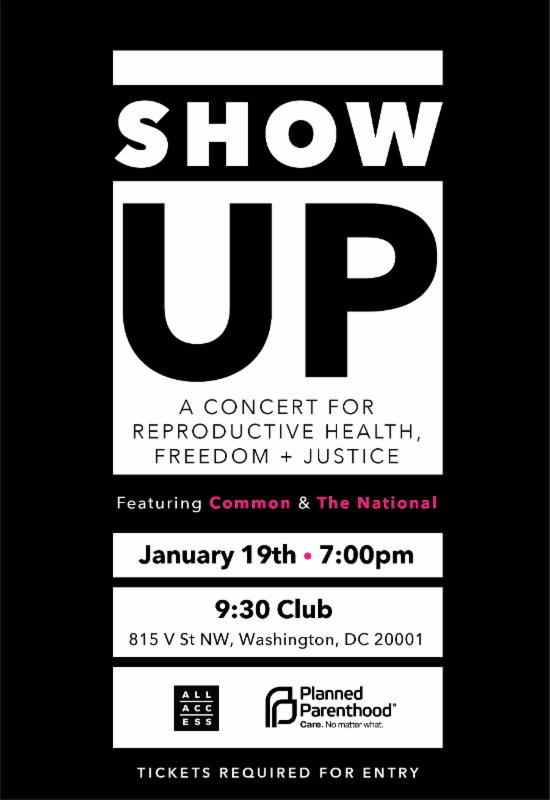 On Jan. 19, Grammy and Academy Award-winner Common and Grammy-nominated indie outfit The National will perform at Show Up! A Concert for Reproductive Health, Freedom, and Justice. Presented by Planned Parenthood and All Access, the event will bring together activists, celebrities and supporters of reproductive freedom. Planned Parenthood, the nation’s leading provider of affordable health services such as cancer screenings, STI testing and birth control, has recently come under an aggressive surge of attacks from our Republican-led congress. House Speaker Paul Ryan vowed to defund Planned Parenthood as part of dismantling Obamacare, sparking national unease and outrage. Fortunately, the organization has also seen an outpouring of support in response. All Access first began in the summer of 2016 as a series of concerts to bring together supporters and advocates of reproductive freedoms. Their 2016 Cleveland event included comedians Leslie Jones and Jessica Williams, plus performances from heavy-hitter’s Sia and Natalia Lafourcade. Show Up! at the 9:30 club in Washington, D.C. is intended to continue the All Access coalition mission and inspire continued action in the uncertain early days of a Trump administration. On the eve of the Presidential Inauguration, we plan to send a clear message to the incoming administration that millions of people across this country are prepared to fight attacks on reproductive health care and abortion services . Many of the activists within the All Access coalition have been leading this fight for decades, and together, we plan to energize more supporters to show up and take action, not just on January 19, but every day and everywhere they can. We’re standing together to create the world we want to see. We know our movement is stronger when we partner together and we will make our message clear: We will not back down, we will not be silenced, and we will not let attacks on reproductive freedom stand. 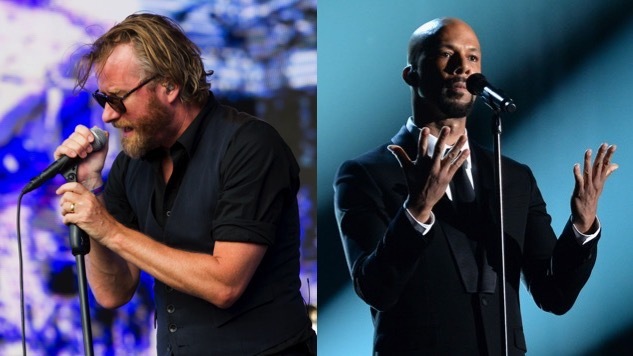 The National have been vocal about their feelings on reproductive rights, with lead singer Matt Berninger commenting, “Women should be able to make their own decisions about their bodies and health. This is a basic human right, and we’re at the very beginning of a long and tough battle to defend these basic rights.” In December of 2016, The National also announced that all the proceeds from their online store on Black Friday would be donated to the ACLU, Planned Parenthood, the Southern Poverty Law Center, and Democracy Now! According to a press release, limited tickets to Show Up! are free, and will be available through partnering organizations. See below for the official event poster and listen to Paste Cloud audio from The National’s 2007 Daytrotter session.